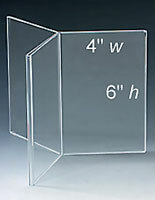 This Picture Frame Has Six Viewing Sides! 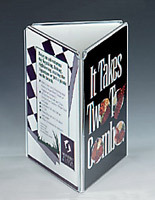 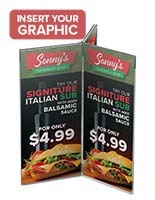 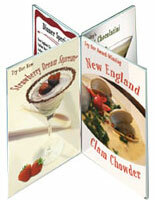 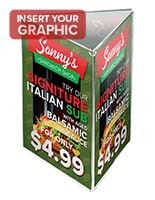 This Picture Frame Is A Great Way To Display Your Menu! 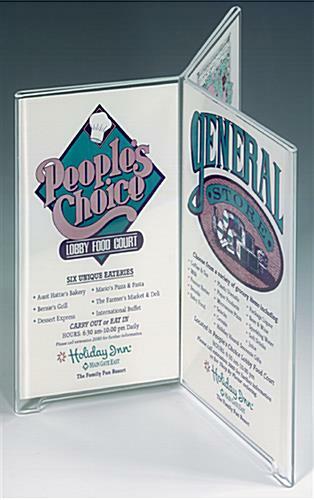 Picture Frame – The design of this picture frame allows you to highlight up to six products at once. Bottom of unit has 1/4" high feet that lift the display away from table surface, preventing the absorption of liquids. 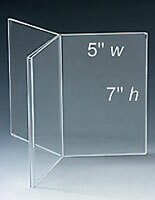 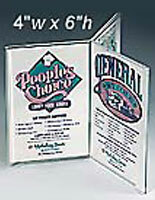 This 6-Panel picture frame will hold cards up to 4"wide x 9" high.